Welcome to the November issue of the Downing IP Newsletter. In this issue we look at the complexity of shape in trademark cases, how the relationship between Dunkin Donuts and Splenda turned sour, and get the low-down on trademark infringement. The iconic Rubix cube has hit the news again, and this time for the ruling from the European Court of Justice. The classic three dimensional puzzle shape has been ruled as not a trademark, following a decade long challenge by German toy manufacturer Simba Toys. The original patent and trademark was lodged by Seven Towns in 1980, however Simba Toys challenged the Rubix cube trademark in 2006 and lost, undeterred took the case to the EU Intellectual Property Office (EUIPO) and lost again. Finally this month the European Court of Justice have agreed the cube’s shape and ability to rotate was protectable by a patent, but not a registered trademark. The crucial difference is that patents must expire after 20 years, but a registered trademark can carry on forever. With over 400 million Rubix Cubes sold worldwide, Seven Towns no longer holds the monopoly on the shape, and is likely to see a number of competitive cube puzzles entering the market. The ruling will also have other 3D manufacturers checking their trademarks and patents in detail. 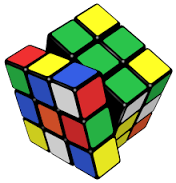 While the original Rubix Cube trademark was very clear on what was protected, the complexity of trademark infringements can be problematic to navigate. What do you do if another company is using a similar product or service to your own, or taking advantage of your brand? One recent example is Dunkin Donuts, they had been using the low calorie sweetener Splenda for many years in their stores, however in April this year they ended their trading relationship and now use an alternative made in China which is presented to customers in similar packaging. 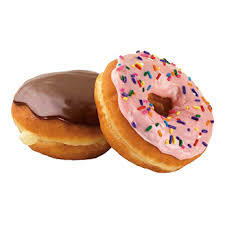 Worse, Splenda’s manufacturers say that the employees of Dunkin Donuts were misrepresenting the Chinese replacement as genuine Splenda sweetener when asked by customers. An infringement action was filed on Monday 7th November in the US courts, and asserts trade dress infringement (i.e. that the product is presented similarly to Splenda), dilution of the Splenda brand, and unfair competition. Trademark Infringement is an area we are often asked about, so take a look at our recent blog, to find out what to do if you think you might be infringing a trademark, or if someone is using your name for their own gain. Read our article on what you need to know about Trademark Infringement. Have a good month and do get in touch with any trademark, copyright or patent queries.